Who is responsible for your injuries while riding a bike on the Philadelphia Streets when the road condition itself causes your injury? Usually the City of Philadelphia is not responsible for your injury and even if they are, you must prove a permanent injury as a result of the defect to recover against the city. There are instances when other companies caused the defect and can be held responsible. The streets of Philadelphia are maintained and governed by the Philadelphia Street Department. It is important for all defects to be reported to the Philadelphia Street Department. The Street Department itself separates the kind of road defects into three categories: potholes, cave-ins and ditches. A pothole is a hole in the asphalt of the road. They are usually caused when water trapped under the roads surface freezes and then thaws, causing the asphalt to weaken. They can also occur when temporary road fixes shift or crack. Cave-ins and sinkholes are actual cavities in that penetrate through both the asphalt and concrete base of the road. A ditch, usually rectangular in nature, is an excavation in the roadway. These are usually created by plumbing or utility companies who work on underground lines. Take caution while riding. Report all defects to the Streets Department. If you are injured, be sure to take photographs of the area, the actual defect and any utility companies working in the area. If you were injured while riding your bike, it is best to consult a lawyer to determine if you have a case. Schedule your free consultation with the attorneys at Edelstein Law today! What Do I Need to Prove to Recover Money for a Slip and Fall Case in Pennsylvania? Slip and fall cases generally rely on the theory that the owner of the property was negligent and because of the owner’s negligence you were injured. To prevail in a negligence action, a plaintiff must establish that the defendant “owed a duty of care to the plaintiff, that duty was breached, the breach resulted in the plaintiff’s injury, and the plaintiff suffered an actual loss or damages.” The owner of a piece of property, such as a shopping center or an apartment complex, may be held liable for physical harm to someone who comes on to their property. However, the law has created different classifications of people and how one is identified when you are on someone’s property, to determine if they will be able to recover damages. The law may consider you a trespasser, licensee, or an invitee, and this may be the determinative factor regarding whether you can bring a claim against a property owner. What are Trespassers, Licensees, and Invitees? You might think that when you are one someone else’s property you are just on their property and are considered the same as a person in a store or in an apartment. However, you might be considered a trespasser or you might be considered a licensee, or perhaps even an invitee. What you are doing on the property generally determines what status you are given. The law provides different levels of protections for each of the different classifications. These range from almost no protections to a high level of protection. The licensees do not know or have reason to know of the condition and the risk involved. A public invitee is a person who is invited to enter or remain on the land as a member of the public, for a purpose for which the land is held open to the public. A business visitor is a person who is invited to enter or remain on land for a purpose directly or indirectly connected with business dealings with the possessor of land. Generally, an invitee is owed the most protection. For a property owner to be held liable for an invitee’s slip and fall injuries, the condition that caused them to slip and fall must either be known or discoverable by the property owner. A property owner must exercise reasonable care to discover conditions which involve an unreasonable risk of harm to invitees. This includes a duty to inspect the property and make it reasonably safe for invitees. As you can see, how the law decides to classify you may be the deciding factor for whether you will be able to recover damages in a slip and fall accident. 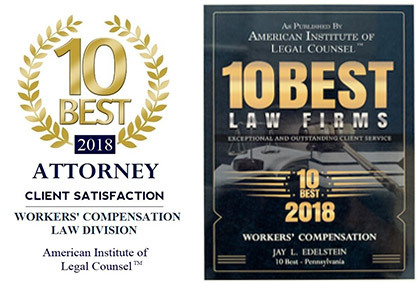 It is very important that you have an experienced personal injury attorney, such as the seasoned attorneys from Edelstein Law, LLP, who are familiar with the various classifications and who can advocate for you to receive the protections you are entitled to. Call Edelstein Law at (215) 893-9311, for a free consultation!